I just attended the 9th MIC Retreat in Majuro. 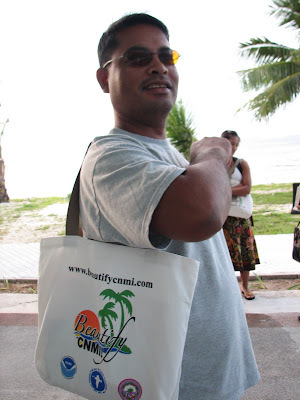 As part of the CNMI State Report at the beginning of the retreat, I reintroduced the attendees to Beautify CNMI! I shared some of successes and our not-so-successes. I also passed out some bumper stickers and some of our brand new turtle bags. 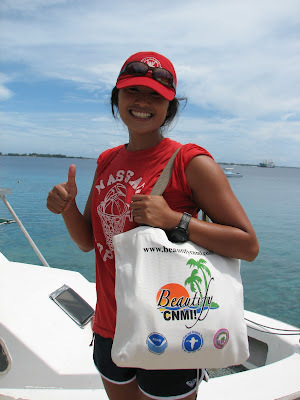 Romina King, NOAA Coral Reef Management Fellow in Guam. 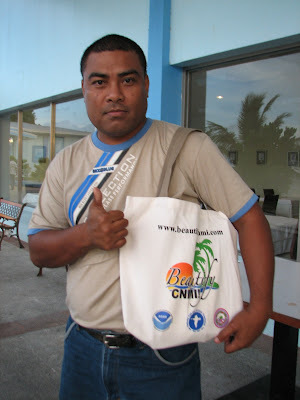 Julio Carcamo, Director of The Nature Conservancy Honduras and Nicaragua Program in Tegucigalpa, Honduras. Patterson Shed, Executive Director of Conservation Society of Pohnpei in Pohnpei. 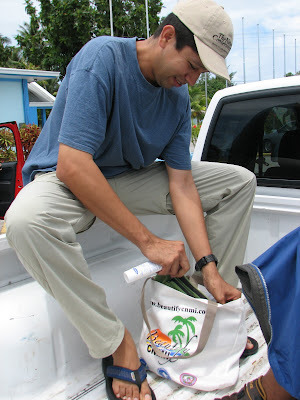 Dr. Tholman Alik, Secretary of Yela Environmental Landowners Authority in Kosrae. 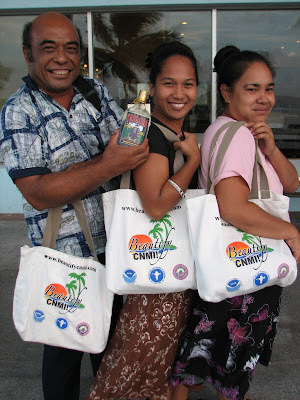 Joe Konno, President of the Chuuk Conservation Society in Chuuk, Mary Rose Nakayama of Chuuk, and Serleen Aldis of The Nature Conservancy in Pohnpei. 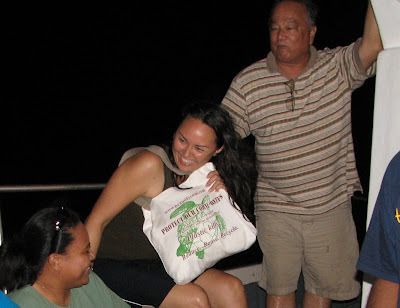 Mae Bruton Adams, Micronesians in Island Conservation Network Coordinator in Pohnpei (but she's from Chuuk). Here is a little video of highlights from the retreat. I will soon report on some of the things that Beautify CNMI has learned from this retreat.